Mobile Homes Rock and should be included in your real estate investing decisions. We will outline several unique mobile home strategies over the next few articles. There are several real estate investing approaches common today. In truth they are all just variants of two long standing strategies. “Buy and Hold” is a term used to describe a real estate investment strategy involving single-family homes, multi-family residences and commercial office space. The buy and hold strategy involves a focused attempt on being a landlord or property manager and building wealth over time. “Buy and Sell” or rehabbing and flipping is another avenue of investing. This is a great strategy as well where the investor buys, repairs, updates and sells a property in the shortest time possible. The goal here is instant monetary gratification at the time of sale. Experienced investors do this very frequently. Because Mobile Homes can be added into both of these investment strategies they rock. Also Mobile Homes Rock because there are several methods at your disposal to generate long term wealth and reach your financial goals. One great strategy is buying the entire mobile home park. As the owner you can then rent the lots in your park to various tenants. This generates multiple streams of income for your use. The tenant owns or sublets their home and pays only for the right to occupy the land and have access to the amenities of the park through the payment of lot rent. Normally the park owns and or provides certain amenities such as the common areas, streets, utilities such as meter bases and wiring to the mobile home, water supply lines, sewer lines and other items. In larger parks there may even be a club house or other structures included in the common areas. When buying a mobile home park you need to consider several things. First and foremost why is the seller selling? Did a factory close? Cannot fill the park? Are they retiring? These are questions you need answered before making an offer. Water Supply: Where does the park’s ownership and maintenance begin, at the main road? For all intents and purposes the park owns everything underground and up to the trailer from the last water meter owned by a public utility. From that spot on you are responsible for the underground water lines. You need to find out what year those lines were installed and what they are made of. Next you need to find out if the homes are all on one water bill? Are they metered or sub-metered individually? Who pays the water bill? Electrical meters cannot be installed directly to a mobile home. Depending on local codes they must be mounted 10 to 50 feet away from the home. As the park owner you are responsible for repairs and maintenance from the meter base to a connection box under each mobile home. Are the meters modern and well maintained or are they mounted on rotting utility poles. From the meter to the trailer is usually an underground installation. Is the service to the meter overhead or below grade? Below grade is better. No worry about falling wires after a storm. As the park owner you are responsible for all sewer lines until it comes out of the ground for the home to be attached to. If PVC they should not be a problem. 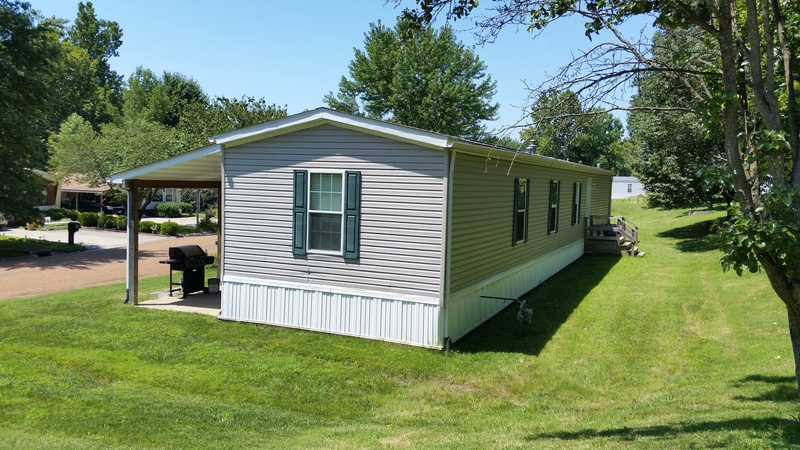 Your decision to buy a mobile home park is one of financial consideration. Will the park make a profit? If the infrastructure is in good condition and there is a demand for living space the answer is yes. On the whole Mobile Home Parks are cash cows. They have lower operating expenses per income unit than single family homes. Real Estate taxes per income unit are significantly lower than traditional stick built homes. Mobile Homes are considered personal property not real property. Mobile homes rock and so do mobile home parks. Find a good park with an acceptable purchase price and no deferred maintenance and you should do GREAT. Our next article will be about Park Owned Homes. Stay Tuned.